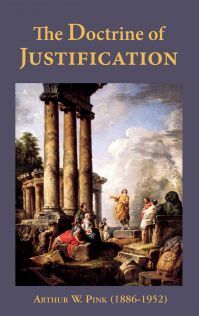 There was a time, not so long ago, when the blessed truth of justification was one of the best known doctrines of the Christian faith, when it was regularly expounded by the preachers, and when the rank and file of church-goers were familiar with its leading aspects. But now, alas, a generation has arisen which is well-nigh totally ignorant of this precious theme, for with very rare exceptions it is no longer given a place in the pulpit, nor is scarcely anything written thereon in the religious magazines of our day; and, in consequence, comparatively few understand what the term itself connotes, still less are they clear as to the ground on which God justifies the ungodly. This places the writer at a considerable disadvantage, for while he wishes to avoid a superficial treatment of so vital a subject, yet to go into it deeply, and enter into detail, will make a heavy tax upon the mentality and patience of the average person. Nevertheless, we respectfully urge each Christian to make a real effort to gird up the loins of his mind and seek to prayerfully master these chapters. That which will make it harder to follow us through the present series is the fact that we are here treating of the doctrinal side of truth, rather than the practical; the judicial, rather than the experimental. Not that doctrine is impracticable; no indeed; far, far from it. “All Scripture is given by inspiration of God, and is profitable [first] for doctrine, [and then] for reproof, for correction, for instruction in righteousness” (2Ti 3:16). Doctrinal instruction was ever the foundation from which the apostles issued precepts to regulate the walk. Not until the 6th chapter will any exhortation be found in the Roman Epistle: the first five are devoted entirely to doctrinal exposition. So again in the Epistle to the Ephesians: not until 4:1 is the first exhortation given. First the saints are reminded of the exceeding riches of God’s grace, that the love of Christ may constrain them; and then they are urged to walk worthy of the vocation wherewith they are called. While it be true that a real mental effort (as well as a prayerful heart) is required in order to grasp intelligently some of the finer distinctions which are essential to a proper apprehension of this doctrine, yet, let it be pointed out that the truth of justification is far from being a mere piece of abstract speculation. No, it is a statement of divinely revealed fact; it is a statement of fact in which every member of our race ought to be deeply interested in. Each one of us has forfeited the favor of God, and each one of us needs to be restored to His favor. If we are not restored, then the outcome must inevitably be our utter ruin and hopeless perdition. How fallen creatures, how guilty rebels, how lost sinners, are restored to the favor of God, and given a standing before Him inestimably superior to that occupied by the holy angels, will (D.V.) engage our attention as we proceed with our subject.